Keynote forum was one of the most significant moments during the Conference and it was enlightened by Dr. Robert L. Hawkins (New York University Silver School of Social Work, United States) on the topic “Power, Policy, and the Long-Term Trauma of Poverty: Examples from the U.S. and the Philippines”. Following Dr. Robert L. Hawkins’s speech, Ms.Hanaa Singer (UN Resident Coordinator and UNDP Resident Representative in Sri Lanka) delivered a speech at the keynote forum as well. Thirdly, Dr. Peter Abrahamson(University of Copenhagen, Denmark) addressed the participants on the topic “A World Free from Want: Poverty and Social Exclusion in the 21st Century” which was a successful one. 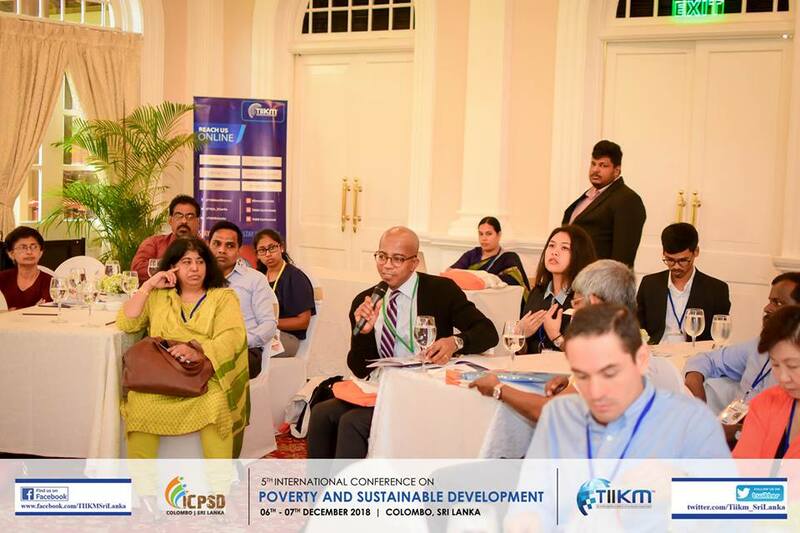 ICPSD 2018 hosted a round table discussion with the aim of Identifying best practices in the multidimensional fight against poverty and social exclusion. This intensive discussion was moderated by the conference co-chair Dr. Peter Abrahamson (University of Copenhagen, Denmark) and he was able to bring together diverse views and perspectives from all over the world on the topic “Policies to Eradicate Poverty and Social Exclusion: What role for State, Market, and Civil Society? ” Main discussion points were distinguishing global South from global North; emphasizing consequences with respect to class, gender, ethnicity, and generation.